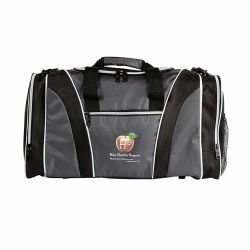 Imprint Method: 1 Color 1 Location - This bright and sporty duffel features 600D and Rip Stop material. It offers ample imprint area and a stylish design that you'll love. Size: 11.81 " x 20 " x 9.84 "
Imprint Size:3" x 3", 5" x 5", 2.75" x 1.25"